When will be 9-1-1 Encounters next episode air date? Is 9-1-1 Encounters renewed or cancelled? Where to countdown 9-1-1 Encounters air dates? Is 9-1-1 Encounters worth watching? When humans and wild animals unexpectedly intersect, the outcomes can be as alarming as they are dangerous for both the animals and humans. 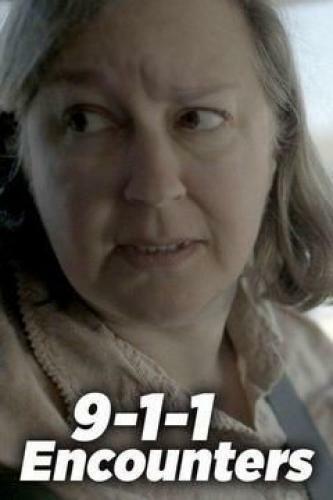 9-1-1 Encounters documents the thousands of calls Americans make each year when dialing 9-1-1 after suddenly being caught in life-and-death confrontations with animals on the prowl. This two-part special features real-life dispatch calls from some of the most terrifying and bizarre animal encounters on record. From coyotes stalking an unsuspecting hiker, thousands of birds inexplicably falling from the sky and two men attacked by a swarm of bees, there's nothing more shocking than the actual 9-1-1- call. There's chaos in the animal kingdom from Massachusetts to California -- coyotes stalk an unsuspecting hiker, thousands of birds inexplicably fall from the sky, chimpanzees terrorize a suburban neighborhood and an escaped zoo tiger goes on the attack. When animals run wild, people call 9-1-1. Bystanders help save two men swarmed by bees in Texas and a girl mauled by a bear in Alaska. And an Ohio sheriff's department goes on tactical alert when dozens of exotic animals escape from a private zoo. 9-1-1 Encounters next episode air date provides TVMaze for you. EpisoDate.com is your TV show guide to Countdown 9-1-1 Encounters Episode Air Dates and to stay in touch with 9-1-1 Encounters next episode Air Date and your others favorite TV Shows. Add the shows you like to a "Watchlist" and let the site take it from there.